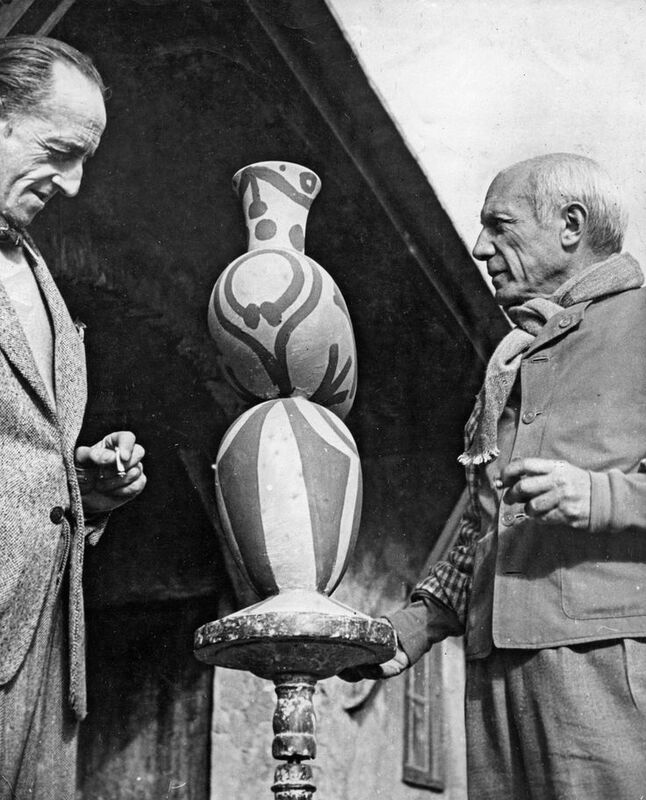 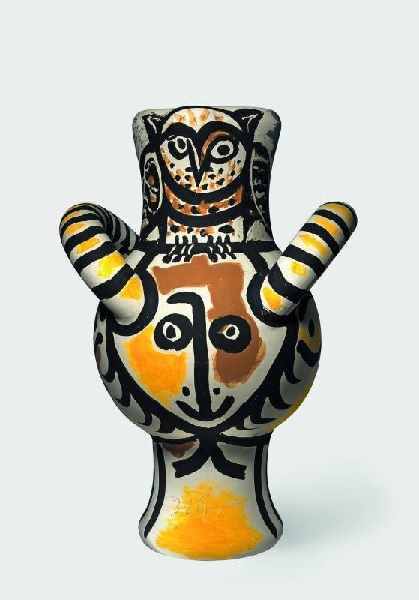 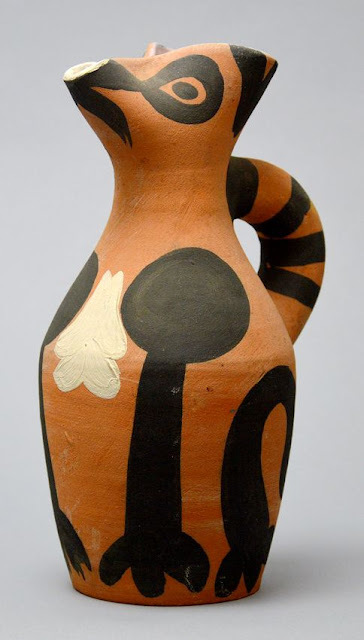 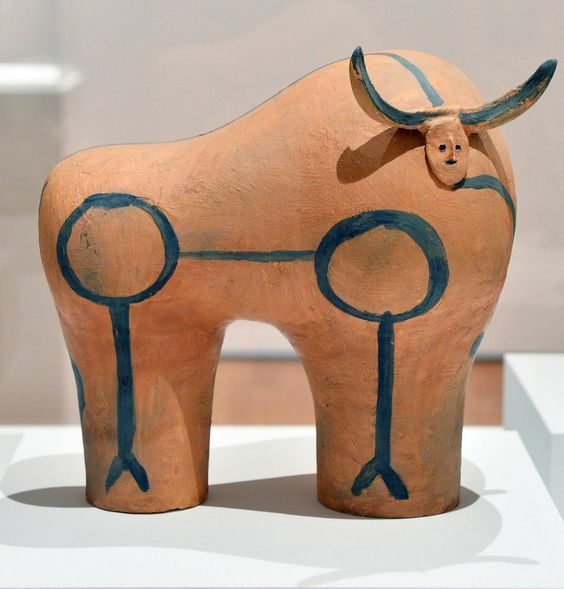 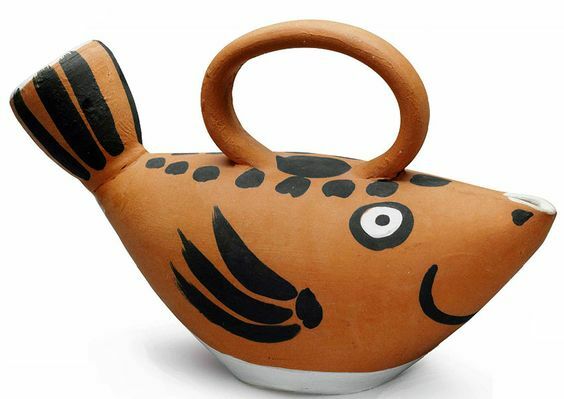 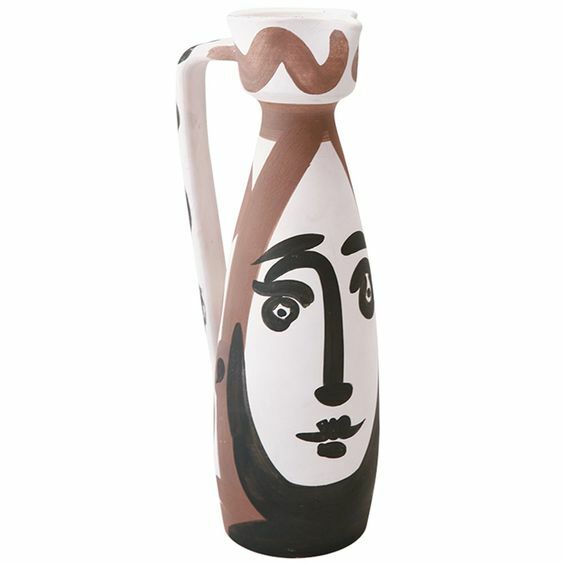 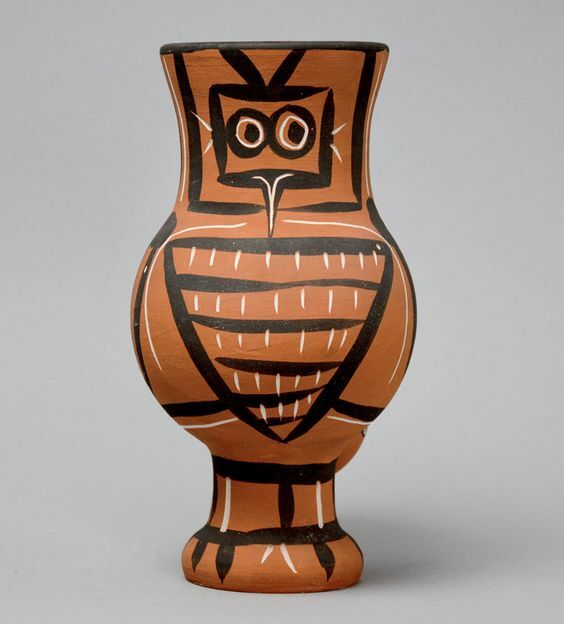 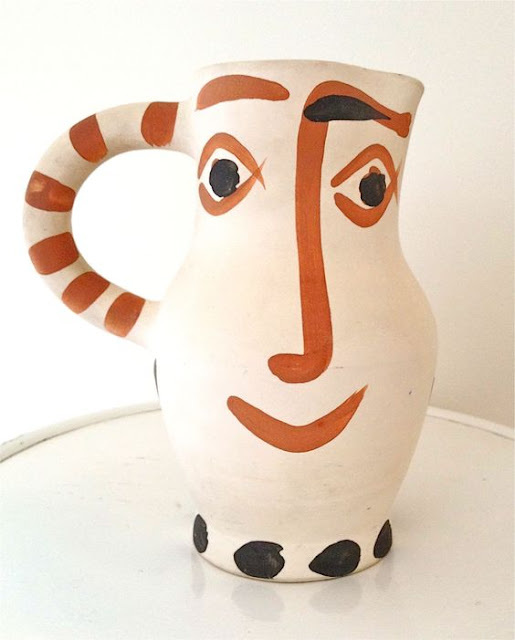 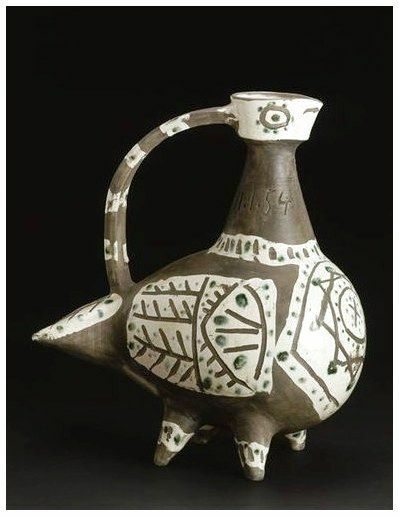 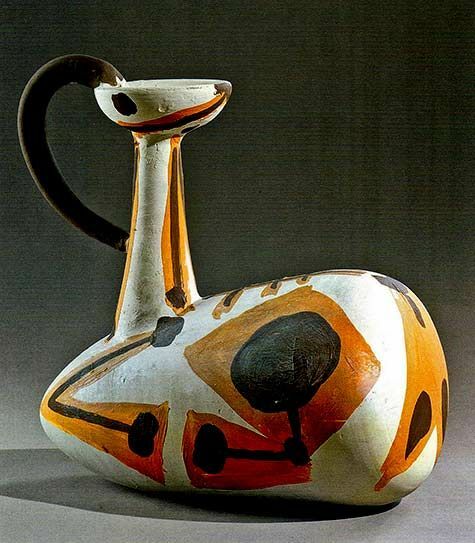 At the end of the 1940s, Picasso started creating ceramic works. At the time, he spent his summers on the Cote d’Azur in the South of France. 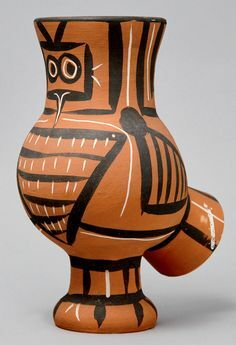 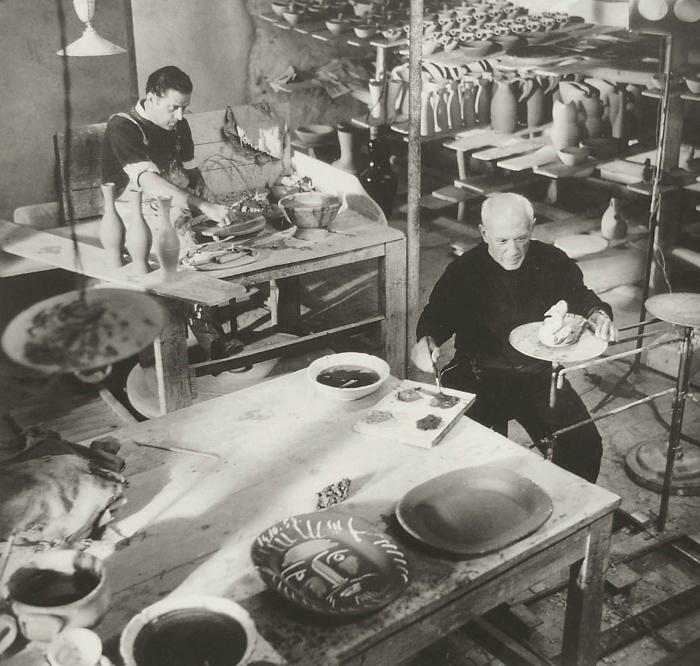 Following earlier trips to the Riviera, where he was inspired by the clarity of the light and the bright Mediterranean colors, the artist visited Vallauris for the annual pottery exhibition in 1946. 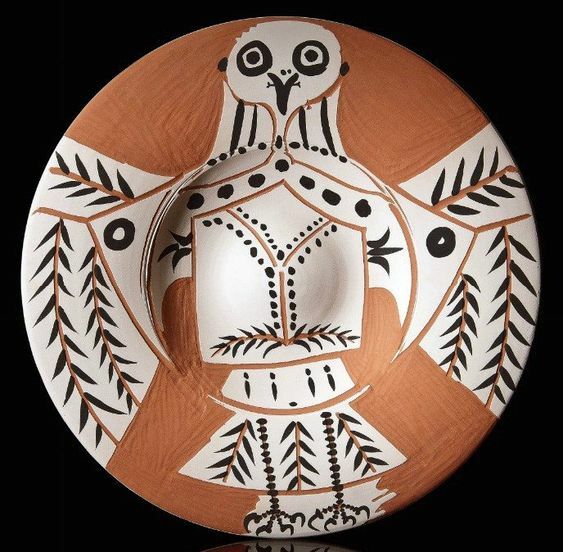 Impressed by the quality of the Madoura works, he was introduced to the owners, Suzanne and Georges Ramié, who welcomed him into their workshop, and gave him access to all the tools and resources he needed to express his creativity with ceramics. 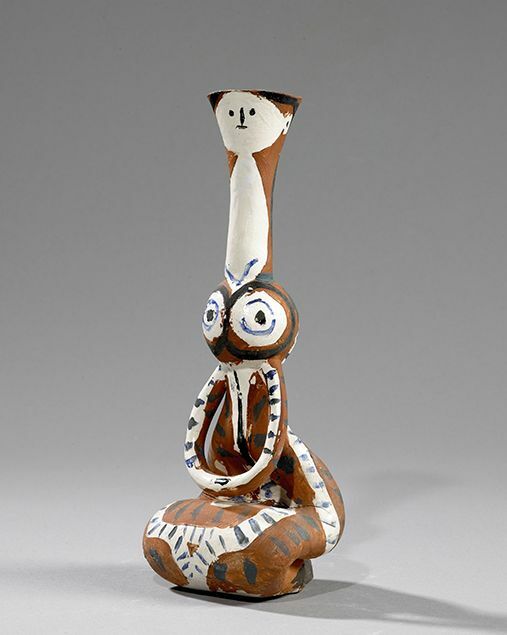 In exchange, the Ramié family would produce and sell his ceramic work. 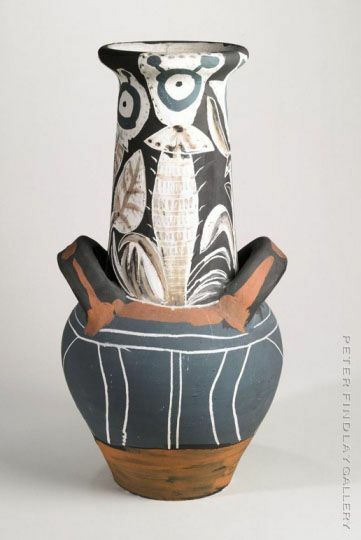 This collaboration with the local ceramicists spanned 25 years. 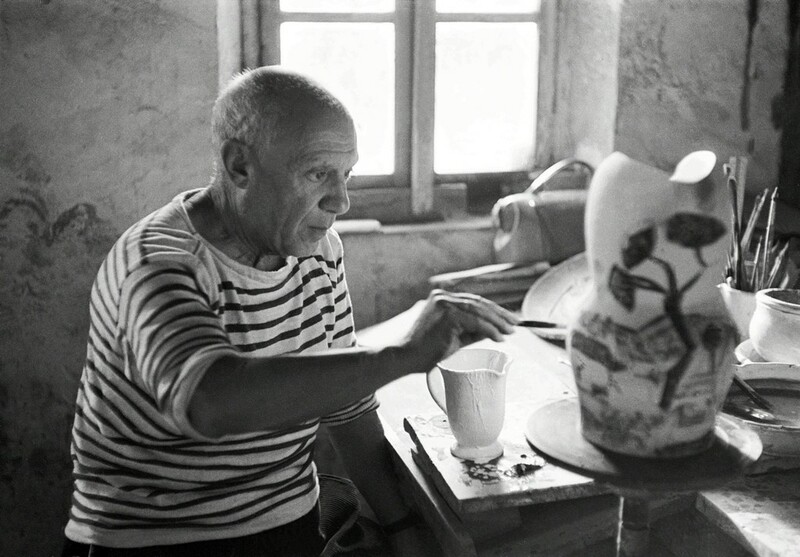 Picasso went on to create clay pieces throughout the last years of his life. 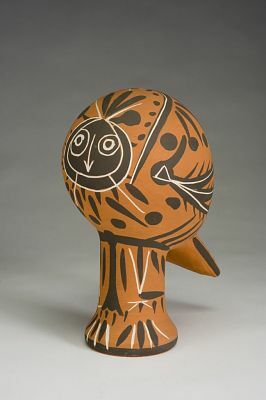 He initially found that working with clay was a relaxing summer respite from the more strenuous demands of painting. 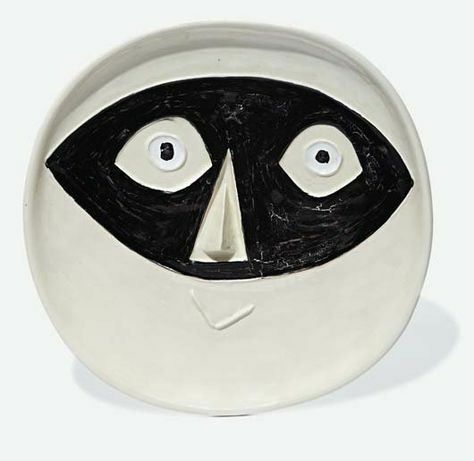 He began with simple utilitarian objects, such as plates and bowls. 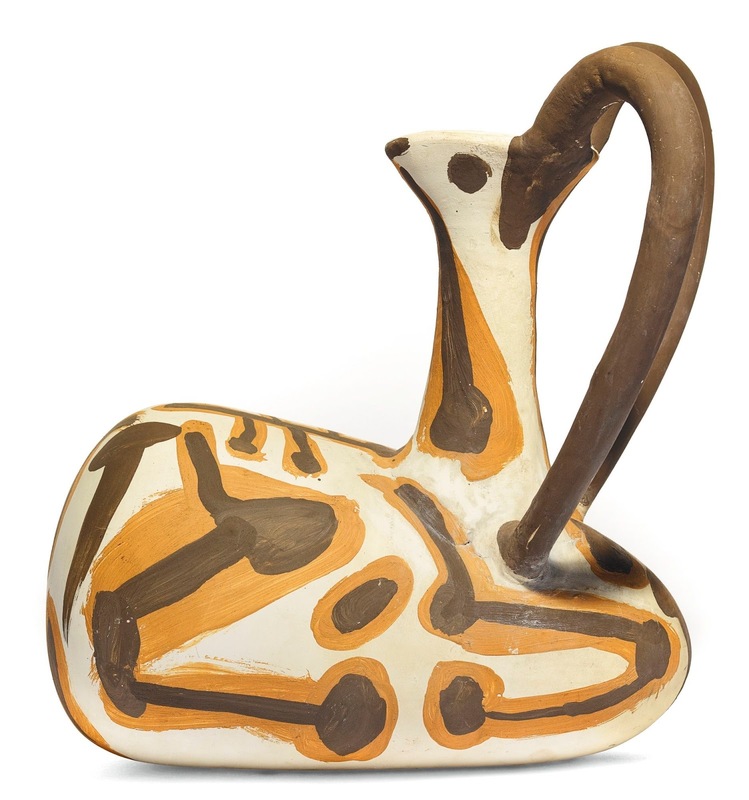 He then proceeded to create more ambitious forms, such as pitchers and vases, where the handles became facial or anatomical parts of the animal depicted. 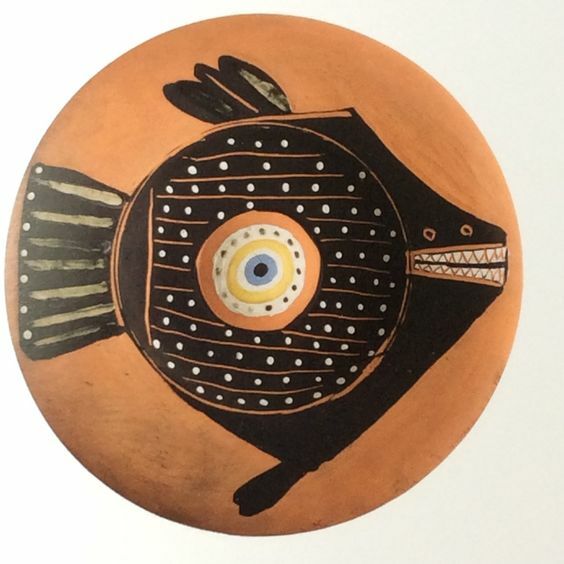 The subjects are very creative and playful, and include Greek mythological figures, animal shapes, such as owls and fishes, corrida scenes, and face motifs, among others. 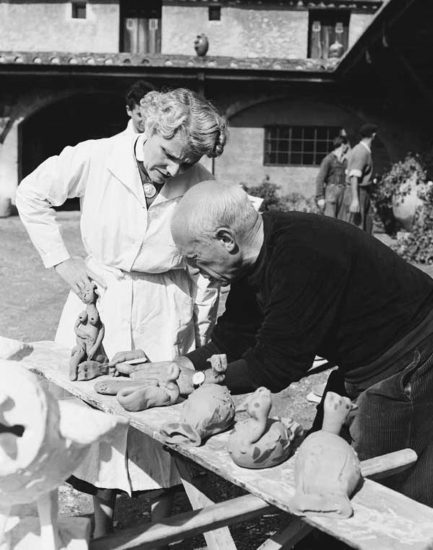 This experience with clay was also a success for Picasso’s personal life, as he met Jacqueline Roque at the Madoura factory in 1953, who would become his second wife in 1961. 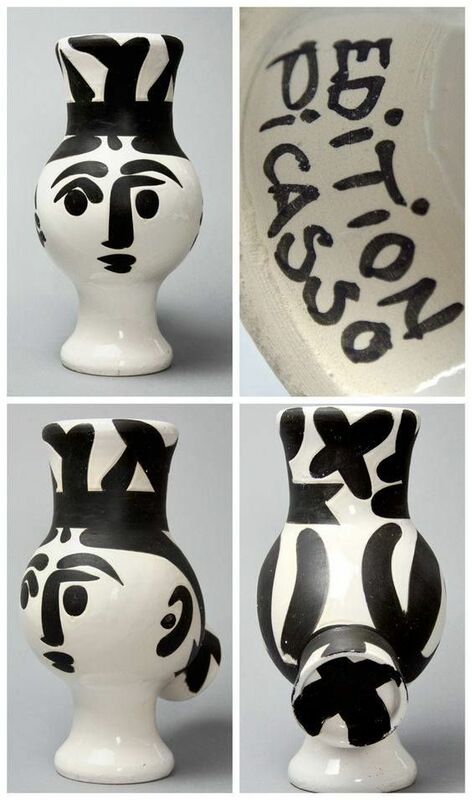 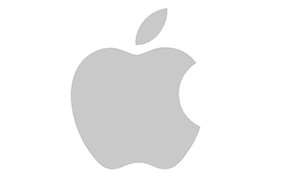 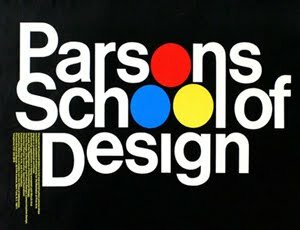 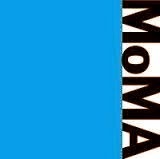 Special Thanks to ARTNET NEWS for the Picasso source information. 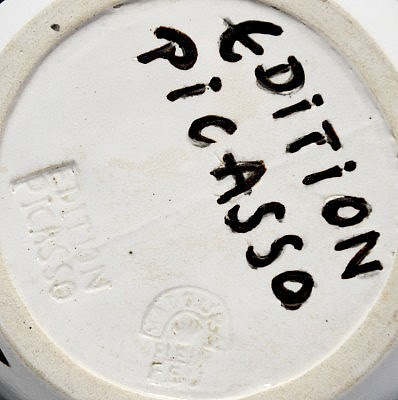 YOU JUST SAW THE #BLINGTASTIC WORKS OF PABLO PICASSO.